The Internet is loaded with books, DVDs, podcasts, and many other media forms that promise to reveal money making secrets. There are many ways to make money and some are more successful than others. One simple way to double your income is to do what you love. At first glance, making more money by doing something you truly enjoy seems like an idea that is fun to hear, but not practical for most people. As you examine further, you will discover that using this method to double your income may be a practical and powerful method to gaining financial freedom. The first thing you need to do is change the way you think. Most people believe that certain things we do for money, like work, and other things we do for fun, like watch sports. This may be true, but have you ever asked yourself why you could not work doing something you love? Take a moment and think about something you really enjoy. Now that you have it in your head, look at that thing as an idea or opportunity to work in a field that involves what you are thinking of. For example, if you love watching sports, think of ways you can get paid to watch sports. In that example, there are literally hundreds of ways to earn money by watching sports. Become a sports writer, or freelance photographer. You can work for a professional sports team. Work at a local school as a coach, or open a sports bar if you are an entrepreneur. The idea is that by looking at that thing you love in a different way, you can discover the unlimited possibilities for earning money while doing something you love. This can eventually lead to making more money than you could have ever imagined. The most important factor in doing what you love and ways to double your income is that we are at our absolute best when engaged in activities we enjoy. Think about it: How great would it be to wake up in the morning and know that you are going to work, and you actually love what you do? 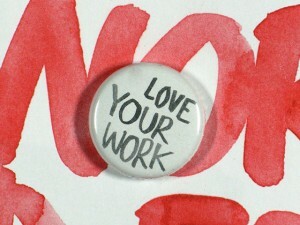 Would you be more productive if you were passionate about your work? Would you find yourself wanting to do more or go the extra mile because you truly enjoyed what you were working on? The answer to both of those questions must be yes! This simple, two-step method can unlock a world of potential in you. People typically do not enjoy doing things they are not good at. Chances are, if you can identify something you are good at, and you love doing it, you can earn an income from it. Being good at what you do because you love it can propel you to financial success very quickly. This is not a guarantee for success, but it is highly effective in connecting you with ways to think outside the box. Some of your greatest ideas come from something you love. Remember, making a change is the first step in this process. Live your life intentionally. Choose to work, but work doing something you love. Be passionate about it, and soon you will double your income.